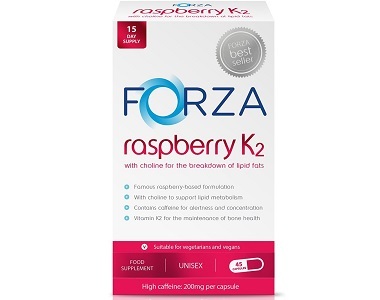 In the following review, we are taking a closer look at a product called Forza Raspberry K2. We are analyzing ingredients, dosage, and price of this product to provide you with all the facts you need to make a good buying decision. 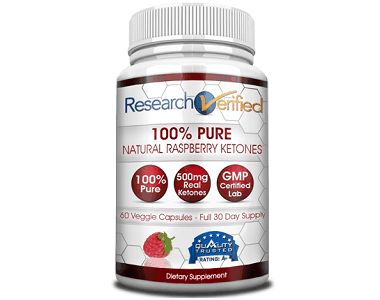 The maker’s of Raspberry K2 say that this supplement enhances normal breakdown of fat in the body, and also provides the body with bone support due to the inclusion of Vitamin K2 in the formula. The manufacturer does not inform what the amounts are of each of these ingredients. Caffeine is a stimulant and helps to improve concentration and alertness, but we are not sure why it is added here. Choline contributes to the normal breakdown of fats within the body. Vitamin K2 is an important vitamin to support bone health. 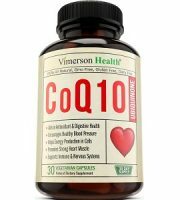 This formula uses natural MK-7, which is the only form of vitamin K2 shown to be safe and effective. We were rather concerned about a few of the ingredients included in this product especially the colorings and caffeine. The website adds a warning regarding Allura Red AD (coloring) which states that it may have an adverse effect on activity and attention in children. 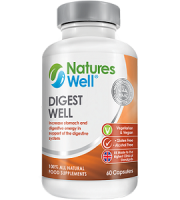 Take two capsules in the morning after breakfast and then one additional capsule in the afternoon after lunch. 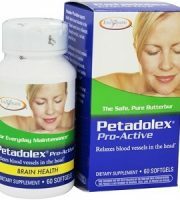 The manufacturer also suggests that people who are sensitive to caffeine only take one capsule per day, to begin with. 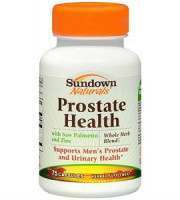 You can purchase this product on the manufacturer’s online store for $13.05 for a bottle, which contains 45 capsules. At the recommended dose, one bottle should last you only 15 days. Shipping is extra unless you spend over $63.35 in the UK, but shipping is costly if you do not live in the UK and need it shipped internationally (about $8.50 up to a kilo in weight). The manufacturer does not offer any discounts for new customers nor bulk purchases. Those who are sensitive to caffeine should start with just 1 capsule per day. Due to the high caffeine content, you should not take more than one FORZA product at any given time. Food supplements are not a substitute for a varied diet and healthy lifestyle. 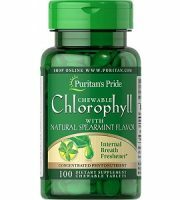 Discontinue use and consult your health care professional if you experience any adverse reaction to this product. 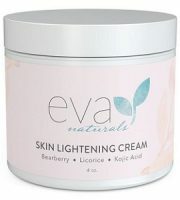 This product contains caffeine (200mg per capsule) and is not suitable for pregnant or breastfeeding women or children. If you have difficulty sleeping, do not take this product after 3pm. You can get a full refund if you return the product within 14 days of delievery. In summarizing our review of Raspberry K2, we have a number of both positive and negative comments to add. 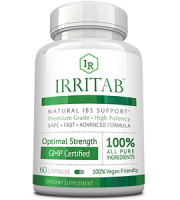 The manufacturers provide clear instructions for use on its website, and provides a detailed explanation of the goals and ingredients of the supplement. 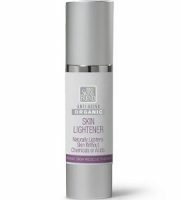 There is a limited 14 day guarantee, and the product is free from dairy, lactose, soy, gluten, and it is suitable for vegetarians and vegans to use. However, there were a few things we found quite concerning. 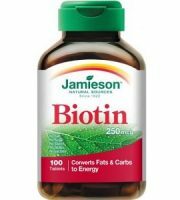 Pricewise, this is an expensive supplement to use because one $13.05 bottle only contains enough capsules to last 15 days. We were not happy about the inclusion of the colorings and caffeine both of which have known side effects. The 14 day guarantee is way too short to give you enough time to see if the product can be effective for you. 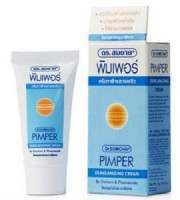 The manufacturer does not offer new customer nor bulk purchase discounts. For all these reasons we cannot recommend Raspberry K2.